The Church Calendar is part of both of our Godly Play atriums. The felt Church Calendar banner is approximately two feet by four feet and is displayed on the atrium wall. 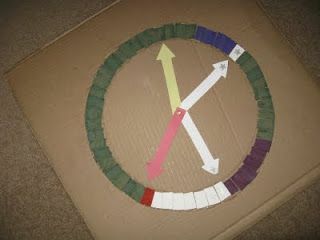 Every Sunday, during our Godly Play time, one of our students will move the arrow to match the liturgical calendar. The wooden Church Calendar above on the right shows that we are in the "green growing time." The storytellers use this wooden Church Calendar to teach the liturgical colors and seasons of the church. This story is found in the Godly Play volume two book. It is also found in Young Children and Worship book but it is called "How the church tells time." The story is based on Leviticus 23:1-3. This Godly Play story compares the church calendar and to the Gregorian calendar. This is a manipulative calendar that we use to tell the story of the church calendar. The circle is built with wooden trapezoids and painted the color of the season. 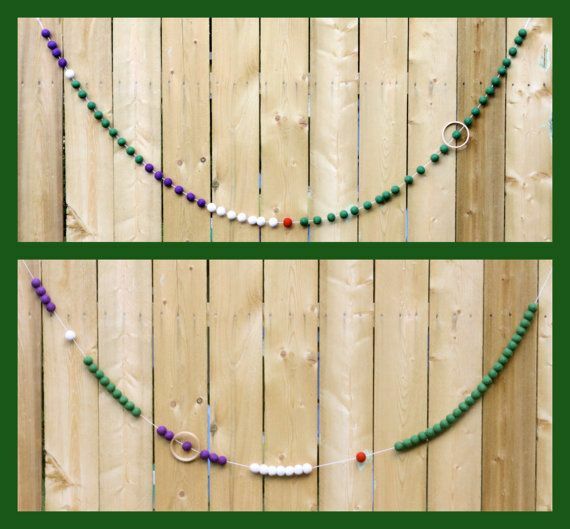 Bead your way through the calendar. This craft will allow the students to build their own calendar with the respective colored beads. 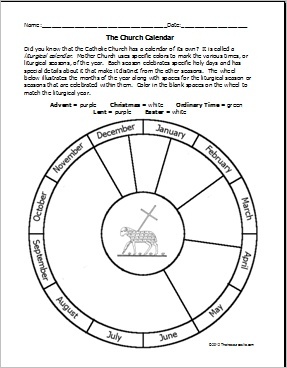 Compare the Gregorian calendar to the church calendar with this worksheet. Click on the worksheet to print our a copy. 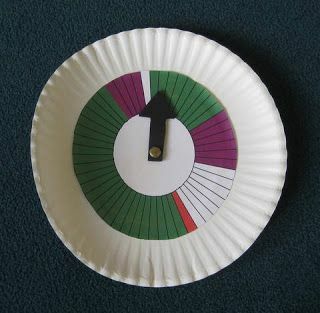 Use a paper plate to complete a church calendar. Click on the photo above for the directions.